CHARLOTTE, Vt. — The dancers had rehearsed since February, but this was the first time they would dance together outside, on the grass. They had no curtained stage to guide them, no wooden floor to ease their ballet slippers. Beneath the hot afternoon sun, Pregger translated the ballet’s precision to the farm’s rough dimensions, with its barn, row of young cedar trees, and grassy lawn near hulking maples. In the Farm to Ballet Project, 18 dancers tell the story of a family farm, from the geese returning in the spring — choreography from “Swan Lake” — through the harvest and farm-share pickup in the summer and fall. As the dancers swoop to Vivaldi’s “Winter” in the first scene, Pregger smiles. “This is why we decided to do this, because we all wanted to dance outside in the summertime,” he says. The group will perform seven times around Vermont this summer, starting Aug. 1, at farms including Philo Ridge and Shelburne Farms, the nonprofit educational organization and 1,400-acre working farm on Lake Champlain. Each performance will raise money for a Vermont nonprofit related to agriculture. Money from ticket sales at the Philo Ridge Farm performance will go to the Vermont Land Trust’s Farmland Access Program, which helps farmers buy or lease farmland. 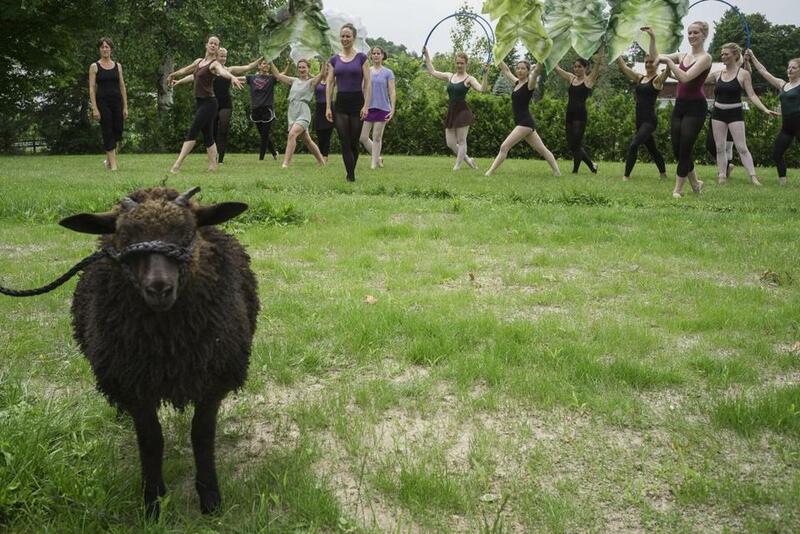 Philo Ridge Farm, a 400-acre former dairy farm that now grows vegetables and flowers and raises animals, including sheep, chickens, and pigs, will give tours before the ballet. A local food truck will sell a farm-raised pork dinner and flatbread. Private donations and playbill ads pay for costumes and props. Pregger, a former Boston Ballet dancer and native Vermonter, now teaches dance at Spotlight Vermont, a performing arts school in South Burlington. He and some of his adult ballet students, mostly women in their 20s through 50s, had talked about dancing outside last fall. After one class, they danced on the rocks and the grass at Oakledge Park on Lake Champlain. 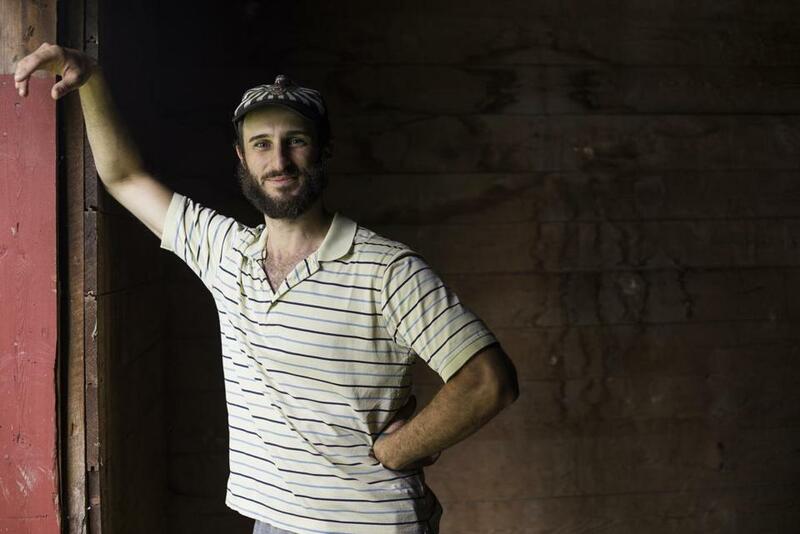 Pregger, who had danced outside, sometimes on the beach at Lake Champlain, with friends — “When ballet dancers get together, they like to show off and do ballet tricks,” he said — started thinking about a ballet based on a farm. He loved taking his two young children to a local farm to pick up their produce. Some of his dancers, however, weren’t convinced. But one by one, they came around. Stearns trusted Pregger’s vision. She got excited about the project when she saw one of the first rehearsals. “We had no money, just an idea and people we knew liked ballet,” Decker said. The performance is a mash-up of classical music and choreography from “Swan Lake,” “Sleeping Beauty,” “Giselle,” and other ballets, as well as some of Pregger’s own choreography. Pregger grew up in Fair Haven, Vt., and moved to Connecticut when he was 15 to study at the Nutmeg Conservatory for the Arts. He danced for Boston Ballet, the Washington Ballet, and the Houston Ballet. He performs in the farm ballet as the weather-vane rooster, including a pas de deux with Stearns, who dances the role of the farmer. The women volunteer their time, and practice hours have been long. Dancing on grass is demanding. Toe shoes are impossible. Dancers can’t glide across grass the way they move across a wooden floor. Turns are harder, and multiple turns, impossible. The dancers feel every bump and stone beneath their feet. Sunscreen and bug spray are essential. The dancers must spend extra time stretching and warming up their ankles, so they are flexible enough to handle the terrain. “I think we’re all going to be so much stronger, having to contend with this,” Stearns said. The dancers must also learn their boundaries. Dancing in a field, without walls or borders, can be disorienting. Each performance differs with the landscape. At Philo Ridge Farm, for instance, the ballet geese dance onto their grass stage from behind the row of cedar trees. At the Marble House in Dorset, they will flutter through an Italianate garden. At Feast and Field Market in Barnard, they will flock into a cow field, where the owners have agreed to banish the cows a few weeks in advance, in hopes of eliminating cowpies. Pregger plans to pack his lawn mower for that performance, in case he needs to trim the stage’s grass. Kathleen Burge can be reached at kathleen.burge@globe.com.